I read mostly for escape. I want to experience adventures in fantasy lands or swoon over a romance or laugh out loud at a character’s silly antics. Thus, I spend most of my reading time enthralled in fiction. But I also know that reading can be therapeutic, soothing, and inspirational. Non-fiction books can be a huge help in troubled times. Reading about others’ experiences can help us through our own. We are not alone on this grief journey, and these books are a reminder of that. One of you lovely readers asked me a while back if I recommended any books for those experiencing pregnancy loss. I haven’t read many books on this topic yet. But, I have come across some books that I really do want to read. It is helpful and hopeful to hear the stories of other mothers who have also experienced miscarriage or stillbirth. This graphic memoir is brand new (published February 26, 2019) and chronicles Lucy’s experience with her successful pregnancy after a journey of infertility and multiple miscarriages. It also includes information about the history and science of reproductive health, midwifery, and more. It’s said to be a funny, informative and emotional read. This is a collection of personal stories gathered on the website The 16 Percent (which I keep dipping into, but as you can probably guess, it makes me sob). These stories of infertility, miscarriage and pregnancy loss emphasize how we are not alone, and touch on the sadness, physical and emotional pain, and the humour and hope of these experiences. Published January 2019, all author proceeds from sales of Through Not Around will be donated to PAIL (Pregnancy and Infant Loss Network), an organization at Sunnybrook Hospital dedicated to supporting families through pregnancy and infant loss. 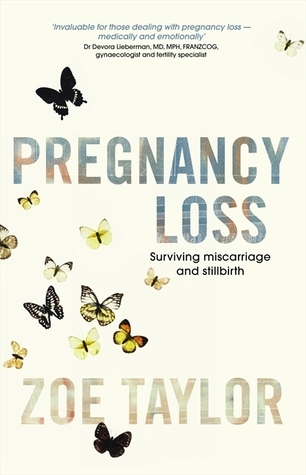 Having experienced repeated pregnancy losses, Zoe Taylor writes about the desire for answers, what experts know about pregnancy loss, how to be in a world that understands so little about pregnancy loss, trying again, pregnancy after loss, and tips on how to support others experiencing it. This book was published in 2010. I think it will likely be a very good read for me. Do you recommend any books that have helped you in your journey with pregnancy loss?